Kidney stones are one of the most painful conditions to deal with, so bad in fact, they are sometimes compared with giving birth. Sufferers often end up going to the hospital because they are incapacitated with pain and concerned that their urine is discolored from blood. And now, new research suggests that cases of kidney stones appear to be on the rise in both men and women. The study, which took place at the Mayo Clinic in Rochester, Minnesota, found that the number of people being diagnosed with kidney stones has increased significantly over the past three decades.1 These results are based on an analysis of more than 10,000 adults residing in Olmsted County, Minnesota between 1984 and 2012. During this time period, the prevalence of kidney stones quadrupled among women and doubled among men. Interestingly, however, women are still not experiencing quite as many kidney stones as men. The number of cases in women was far lower at the start of the study period, and they simply came closer to finally catching up with their male counterparts over the years—keeping in mind that men presented a moving target as their incidence in those years doubled as well. The largest jump occurred among women between the ages of 18 and 39, who began at 62 cases per 100,000 person-years, and went all the way up to 252 cases per 100,000 person-years. A person-year is a measurement of the number of people and the time that they spent in a study. Now, it might be easy to dismiss most of this increase as not being an actual rise in the prevalence of kidney stones, but better diagnosis due to more sophisticated detection devices. And undoubtedly, that is one of the reasons for the increase in cases, considering that ultrasound and computed tomography (CT) scans were not nearly as widely available in 1984 as they have been for the past several years. But that is most definitely only part of the story. The majority of kidney stones are composed of calcium oxalate, with calcium phosphate a distant second. While composition is not determined for every stone, calcium oxalate stones comprised close to 75 percent of all known kidney stones in the investigation. And both oxalate and phosphate stones increased in prevalence during the period of the study. Less common stones (struvite and uric acid stones) did not have a notable increase according to the study’s findings. Calcium oxalate stones form when there is a high level of oxalate in the kidneys and not enough liquid. Oxalate is found in many foods and can encourage the formation of crystals that are massed into stones. Calcium oxalate stones are associated with diets high in animal protein, sodium, and sugar, as well as with obesity, diabetes, and inflammatory bowel disease. And all kidney stones typically signal insufficient hydration, so if you are prone to them, start drinking more water every day. That being said, kidney stones are something we all want to prevent. Even though genetics certainly play a role, making it much more likely for some people’s bodies to create these crystals within the kidney, ureters, or bladder, there are environmental factors at play as well. As we mentioned before, drinking enough water every day can go a long way to help you avoid kidney stones. For most of us, that means upping your intake to at least eight glasses per day. Other ways to prevent kidney stones include losing excess weight, getting more fruits and vegetables into your diet, and drinking green tea in addition to water. Getting regular exercise is also associated with a lower risk of developing kidney stones. 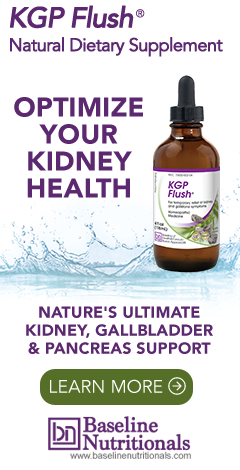 And of course regular use of a kidney flush formula can help detox the entire urinary tract and greatly diminish the chances of stones forming. 1. Kittanamongkolchai, Wonngarm; et al. "The Changing Incidence and Presentation of Urinary Stones Over 3 Decades." Mayo Clinic Proceedings. 6 February 2018. Accessed 18 February 2018. http://www.mayoclinicproceedings.org/article/S0025-6196(17)30844-3/fulltext. 2. Scales, Jr., Charles D.; et al. "Prevalence of Kidney Stones in the United States." European Urology. July 2012. Accessed 19 February 2018. https://www.ncbi.nlm.nih.gov/pmc/articles/PMC3362665/. I’ve suffered from renal calcului for the past 38 years. Formula religiously, and was able to flush the gravel out to my immense relief. That is great to hear!! Thank you so much for letting us know!